Ever wonder why you seem to constantly be in terrible relationship cycles that you should have seen coming like a Target Supercenter? Apparently, scientifically, you just can’t help it. 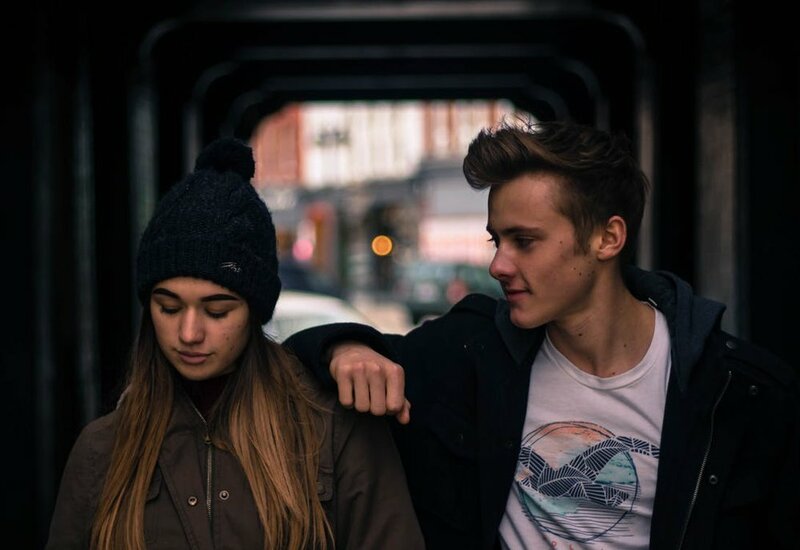 While I personally have never been one for the whole “bad boy” phenomenon, I have seen many of my best pals lay themselves across train tracks, certain that their Romeo would pull the brake before actually dashing their hearts into a million tiny pieces. Of course, you know how that song and dance always ends: badly. For whatever reason, many of my friends are always running in the opposite direction of the “nice guy.” They don’t want to be held and told how amazing they are. They actually seem to like guys who break promises, keep them in this very confusing state of non-commitment, (in which they have actually successfully fooled them into thinking that they are too “pushy” for wanting to get married after putting in a solid 4 years, 2 kids, and mortgage together) and whose attention and affection can be stolen regularly. I used to wonder what the appeal was. Why do you want someone who actually makes you feel like you aren’t good enough for them? I just didn’t get it. And then, I met Adam. Adam was the only person that, even when we were together, made me feel like we weren’t. He was an excellent talker, followed up of course by zero action, and he would compare me to my friends on a pretty regular basis. In addition to all these charming qualities, he would only call me every other day. I guess just in case I thought our five hour long phone conversation meant we were serious, he would make sure to follow up with a solid 24 hours of zero contact in which I would check my phone incessantly. All my friends warned me about Adam. He honestly wasn’t even that attractive, but I was so blinded by how hard he made me work for his attention that I must have been too busy to notice. I’m going to jump right to the ending of Adam and I, because the fact that I have already given him a paragraph is honestly irritating. He was living in South Carolina, and had just driven down to spend some time with me. Before he went home, I had already purchased a plane ticket as it was my turn to visit him next. I’m not sure he had even completed his gas transaction before my best friend called and told me that he sent her a Myspace message. (You read that correct, Myspace, the founding father of social networking, rest in peace). Basically he told her he wasn’t that into me, and wondered if she would like to hang out sometime. I called him, enraged. He tried to deny it, and I lost a few hundred dollars on that plane ticket, but kept regaining small fractions of my dignity every time I ignored one of his many phone calls. He contacted me up until he found out I was engaged to my husband, before finally deleting me from his Facebook, which I think means I’m dead to him? So why do we do this? Why do girls go horror film and open the door for the guy that is clearly holding a machete behind his back? Well according to research, females are much more likely than men to seek out emotionally unavailable mates. While men find women who are “nice” as more attractive, women, at least in initial encounters, tend to find men who are nice as less attractive. Psychology Today did a study and found that bad boys tend to have several things in common, some key traits being narcissism and masculinity. Narcissistic men are not the commitment type, and so if you are someone that finds yourself with a closet full of Adams, you may have to ask yourself why. Could you be self-sabotaging? This is where you subconsciously seek out relationships with people you know it won’t work out with, that way when it doesn’t work, you can blame the crappy guy, rather than do any introspection to see if there is something you could be doing differently. Sometimes we set ourselves up for failure, so that if we do fail, we have a prop to blame. One of my best guy friends always falls in love with women who are either in current relationships, or in this on again off again thing. I told him that I truly think he does this because he likes the emotional rush of being with someone, fantasizing about someone, and texting someone late at night, but doesn’t actually want the commitment of a long term relationship. He purposefully seeks out women he knows will never commit to him, and then tells these sob stories about how he is going to be 30 and single. Dude, stop dating girls who are already dating other people! If one continually seeks out relationships in which they know that the other person is not going to commit, it may be because they are afraid of commitment. Cue moment of deep self-reflection. Another reason women may seek bad boys is if they have a high fear of victimization. Basically, if you have been a victim of, let’s say, sexual assault in the past, you may be seeking a mate that has a great deal of masculine energy, and that actually makes you feel safer. For some women, bad boys actually create a false sense of self protection, even if the only person you should be afraid of is them. One last reason many women may prefer bad boys is kind of a sad one. Apparently, narcissism runs at higher rates in men than it does women. This is proven to be true even across cultures. If there are more bad guys out there than there are good guys, than this becomes a statistical dilemma more than a psychological one. Statistically, it is just more probable that you will find a narcissistic jerk to pine after, than a solid dependable man to build a life with. Can we please be mothers that birth a generation of men who DON’T want to hurt our daughters? If you are attracted to the bad boy, know that you are not alone in your self-sabotage. That said, get off the train tracks. Stop dating several different Adams and expecting to get a different result. I think for me, the most attractive thing about my husband is that he desperately wants to live a life that is pleasing to God. Because of this desire, he is really conscious about putting our family first. He makes me dinner, leaves me notes, and tries to make me feel special, because he wants to honor God, even in our marriage. The saying goes that you should find a man whose heart is so wrapped up in God that you have to find God, in order to find him. I dated an Adam once. It didn’t end well. Marrying a “good guy” is the best decision I ever made.